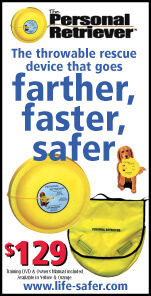 See our all new Dinghy Digest ® . DD is a weekly e-mail newsletter highlighting the stories in the print version of Arizona Boating & Watersports News Magazine. DD reaches over 42,000 readers all around the world each week. Recreation Is Mobile. 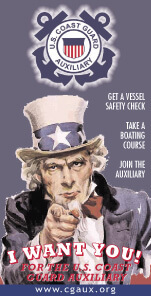 E-mail jim@azbw.com to sign up for your FREE weekly Dinghy Digest ® . 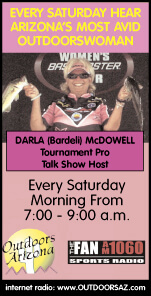 Win a free night in the Aqua Lodge on Bartlett Lake. Just answer this question. 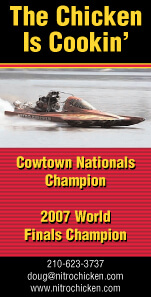 How long may non-resident owned watercraft currently registered in another state be operated on the waters of Arizona? 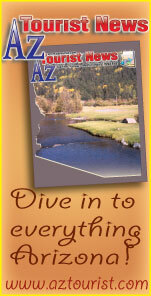 Be the FIRST to e-mail jim@azbw.com with the answer and you will win one free night in a Bartlett Lake Aqua Lodge. Lodging based on availability. 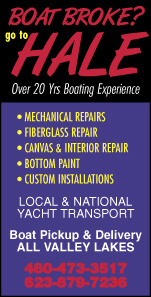 E-mail jim@azbw.com if you would like to sponsor the Dinghy Digest weekly contest. 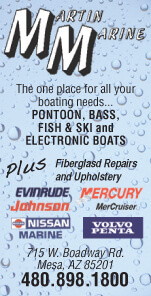 Sponsors receive great continous coverage throughout the year by sponsoring just one Dinghy Digest contest. And don't forget there is one very happy winner coming to visit your business. Winners may put a link to their business or favorite charity on their winners announcement on the Arizona Boating & Watersports web site. Announcements remain on the web site throughout the year. Canyon Lake, one of the Salt River Resevoirs, is located just 16 miles from Apache Junction on state route 88. Canyon Lake has just completed 26 and 28 foot covered slips. Check out their web site and mention AZBW to get an even better price on these new slips. Don't forget the fishing at Canyon Lake. Do you have a favorite issue of AZBW? Maybe it was an issue that had a story about you or your business or one of your favorite boating, fishing, hunting or watersports locations or activities. 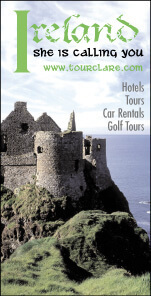 If so you can now order a special glossy magazine issue. 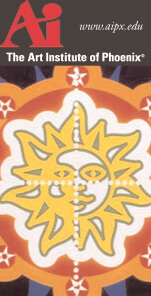 Go to www.magcloud.com/browse/Magazine/13255 and check it out. Just tell us what issue you would like to have and we will produce it for you to order and download. With this in mind I thought it would be fun to share good news. If you have good news to share send it to jim@azbw.com. We will print as many as we can. 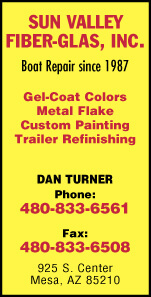 Feel free to include your business contact information and we will put a link to your web site or e-mail address. Conserving fresh water is important onboard any boat, but seawater and the small organisms that come with it can cause heads to stink. To see the rest of this story and check out more new products go to www.azbw.com/New_Products.php. Tempe, AZ - Cardboard boats are once again coming to Tempe Town Lake� full-sized boats made of nothing but corrugated cardboard, glue and paint; and crewed by up to 8 kids and/or adults paddling furiously around a 200 yard race course. Some sink. Some swim. Everyone has a great time. For More Information Go To www.rotaryriverrally.com/index.html. Parker Area Tourism, Parker, AZ 928.669.6511 www.parkerareatourism.com. This year will feature a Street Party Boat Show Thursday night consisting of over 100 wild and fast performance boats from 22 to 51 feet. Vendors and business are welcome to come and display their wares for a small fee. Divers and non-divers are invited to come and check out the latest equipment, gear and information from local dive shops at one of the most popular dive locations in Valley. Drawings for exotic diving trips and prizes. PADI certified divers are encouraged to join the Underwater Treasure Hunt. Event is free with paid park admission. A white seabass fishing tournament will be held Saturday May 23 to benefit Hubbs SeaWorld Research Institute (HSWRI). The event is designed to kick off the angling season with a friendly tournament that features a broad array of trophy categories including biggest white seabass, biggest yellowtail, biggest halibut, most releases, and special prizes for any white seabass captured alive and placed into HSWRI�s brood stock program. 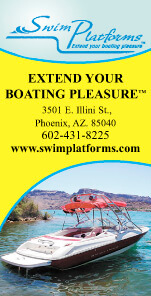 Arizona Safe Boating Celebration  May 22, 7 a.m. to 12 p.m.  Lake Pleasant Regional Park 602.372.7460, ext. 200 or visit www.maricopa.gov/lake_pleasant. Make sure your family is safe on your watercraft this season. Receive a discount on your next park entry with your FREE vessel safety check. No citations will be issued during inspections. You may receive many of the items you need to for compliance absolutely free. You can also receive information about Arizona boating laws, find out how to protect your boat and the environment from Quagga mussels, learn about the hidden dangers of Carbon Monoxide and more at the Arizona Safe Boating Celebration. Dana Point Harbor Boat Show Dana Harbor, CA — May 28 through the 31st. 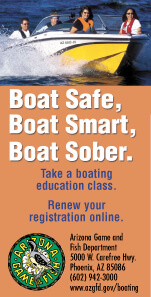 For more information call 323.655.2010 or visit www.danaboatshow.com. Protect-A-Park  It�s time to get involved and give your land a hand  Lake Pleasant Regional Park 602.372.7460, ext. 200 or visit www.maricopa.gov/lake_pleasant. Boaters, anglers, and divers needed to adopt shoreline areas and coves for regular litter removal in 2009. 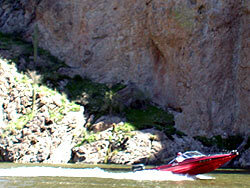 Check out Arizona Boating & Watersports Downstream section for a more complete list of shows and events. This beautiful 2009 Skeeter ZX190 is only $22,495 now at Open Throttle Marine. Your going to hate yourself if you miss this great bargain. Canyon Lake, one of the Salt River Resevoirs, is located just 16 miles from Apache Junction on state route 88. Canyon Lake has just completed 26 and 28 foot covered slips. Check out their web site and mention AZBW to get an even better price on these new slips. Don't forget the fishing at Canyon Lake. What do most sailors do on their vacations? Sail, of course! But what if your holiday companion can't or won't sail? Or you want to take small children? Or you simply fancy a change from your usual sailing vacation? Look Out, San Diego! The Buccs Are Coming! The Buccs Are Coming! ARRRRRR! Well, they aren't the British, that's for sure! June 21-26, the Buccaneer 18 Fleet of " pirates" and their North American Championships (BNAC) will be coming to Mission Bay and will be hosted by Mission Bay Yacht Club. Last April I went to France and Belgium with my school. There was lots of water involved. We drove in a coach to Hull. We got on a ferry there. It was quite nice. The rooms were small but clean. It was very windy and rainy that day, basically all over the country. For lunch we had stopped at a school called Stonyhurst, which is just about the biggest anywhere, and it was raining there too. Does trudging up the ramp to fetch your truck and trailer leave you huffing and puffing? 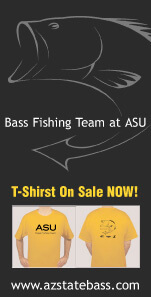 What about throwing a jerkbait all day long � can your arm take it? In this segment (the first of several on nature), we will be addressing the fauna and flora of the desert. In the spring it is a good time to watch for the animals of the desert, early morning and late afternoon. As I have learned over the years to observe the wildlife, being quiet and still, and letting all cares and concerns drift away in the early light, all of the sudden here comes a fox just a short distance away. Rocky The Boat looks great sitting in the middle of the desert at the AZGFD 2009 Expo. AZBW is a monthly publication. Our primary distribution is in Arizona and Southern California with some distribution in several other states and countries. 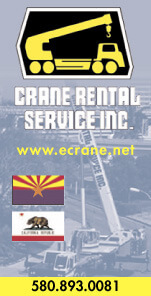 We also attend numerous shows and events in Arizona and Southern California. 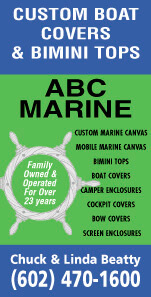 It is our pleasure from time to time to present to our readers information about new products; however, the information published in Arizona Boating & Watersports news magazine is for reader interest only and does not consitute endorsement by AZBW. Further, we suggest that you check first with local marine, fishing, and RV dealers and suppliers to see if they have the items mentioned in our articles. Also, please remember that the prices given are those that were in effect at press time and may have changed. 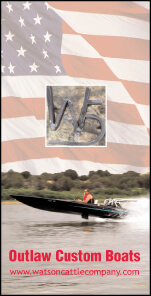 Arizona Boating & Watersports News Magazine AZBW www.azbw.com is a monthly print publication. It is distributed throughout Arizona and Southern California as well as several other states and countries.